which saddle do you prefer? Pure Andalusian (PRE) and Andalusian Arab or Sport horse crosses, ranging from 145cm (14.3 hands) to 165cm (16.1 hands). Most of the horses come to us as youngsters and most of them stay with us for life. When bringing in new horses ideally we prefer for them to be un-broken and un-handled, so ensuring that they are correctly started. This initial contact and ground work is essential for a good future working relationship with people. Most of the horses have been started, backed and schooled by Mordecai. 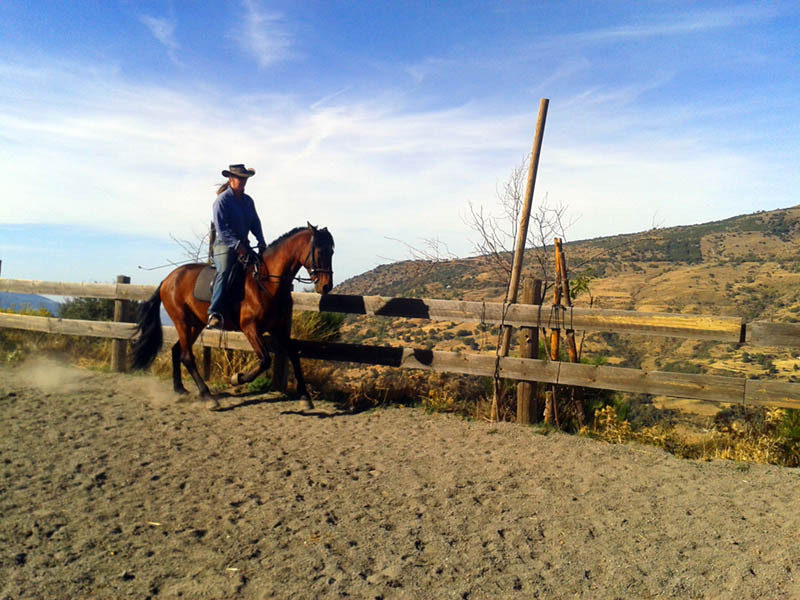 Mordecai trained in Portugal as a classical dressage rider and has dedicated his life to working with horses. In addition to his passion for classical dressage he is also very interested in Western training techniques. Nearly all the horses have a basic training in classical dressage, they are light, responsive and forward going. They have been carefully selected for their good natures (a trait of the Spanish horse) and endurance. 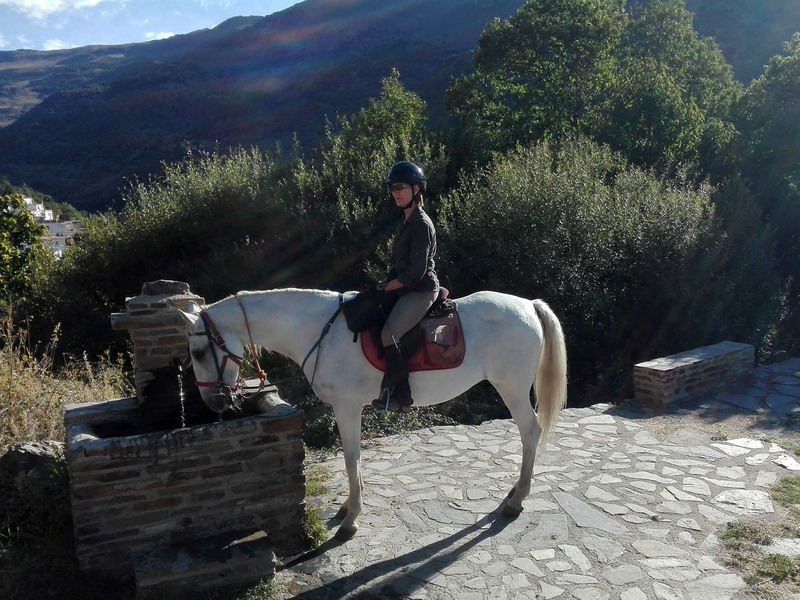 The horses are fit, happy and strong, they enjoy their work and are a pleasure to ride. These are not the average riding school or trail horse, but well bred and schooled horses, responsive and fun to ride. One of the most frequent comments from riders is that the quality and schooling of the horses far exceeded their highest expectations. They lead a happy and healthy life, working hard when needed but free on the mountain with their herd when not working. As a result they are not sour, they enjoy their work and being with people. 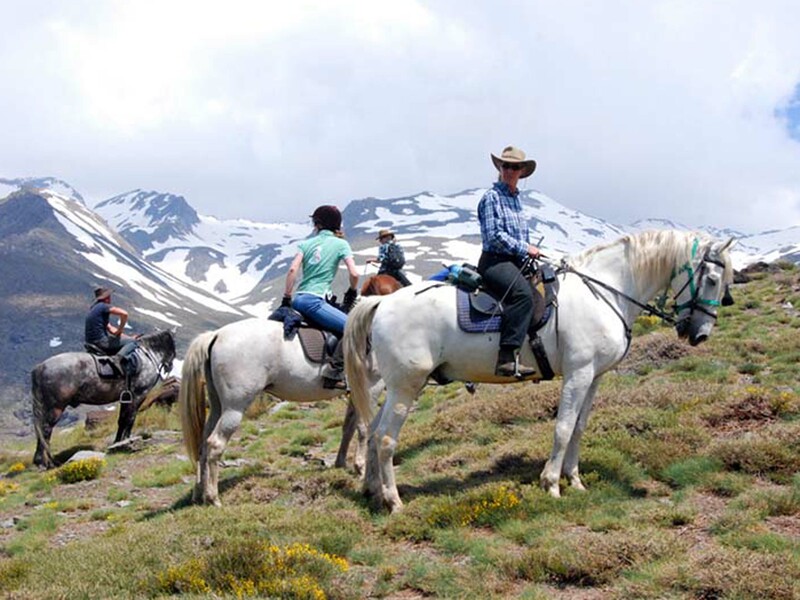 There are a selection of horses to suit different riding levels and great care is taken in the selection of horses according to the riding abilities and preferences of each individual. We keep about 22 horses and each one has its own personality, each special in its own way. Knowing very well their different characters is essential in matching horse to rider. Also known as the Pure Spanish Horse or PRE (pura raza española), is a horse breed from the Iberian Peninsula, where its ancestors have lived for thousands of years. 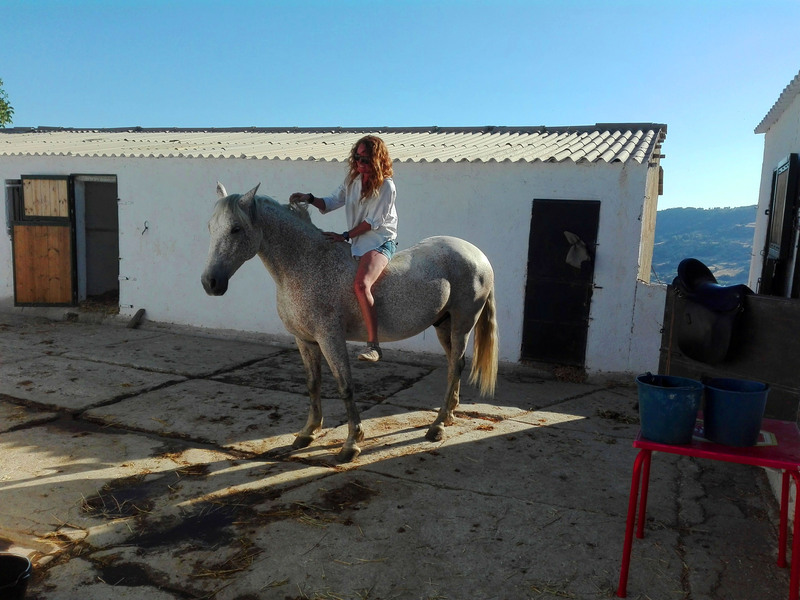 The Andalusian has been recognised as a distinct breed since the 15th century, and its conformation has changed very little over the centuries. Throughout its history, it has been known for its prowess as a war horse, and was prized by the nobility. The breed was used as a tool of diplomacy by the Spanish government, and kings across Europe rode and owned Spanish horses. Strongly built, and compact yet elegant, Andalusians have long, thick manes and tails. Their most common coat colour is grey, although they can be found in many other colours. They are known for their intelligence, sensitivity and docility. During the 19th century, warfare, disease and crossbreeding reduced herd numbers dramatically, and despite some recovery in the late 19th century, the trend continued into the early 20th century. Exports of Andalusians from Spain were restricted until the 1960s, but the breed has since spread throughout the world, despite their low population. In 2010, there were more than 185,000 registered Andalusians worldwide.